The delivery of Tesla Model 3 in Europe started off nominally on Wednesday with priority for reservation holders who were awaiting the car for three years. Because of some unexpected snags, all the buyers invited could not get their cars. More deliveries will happen Thursday. Tesla confirmed that a few cars were delivered Wednesday after a cargo ship from California docked at Belgium’s Zeebrugge port. There was a rush of buyers as they were contacted to take delivery in Belgium and the Netherlands by Wednesday. Some buyers complained that they were turned away after driving all the way to Tesla’s Tilburg factory in the Netherlands. Tesla acknowledged that it could not deliver as many vehicles it originally desired and urged buyers to wait for one more day. In a tweet, CEO Elon Musk said some logistics issues at the port caused the delay. However, Tesla is ensuring a steady supply of more Model 3 vehicles to Europe and the next shipment is due in a couple of days. An average 3,000 Model 3 vehicles will pass through the port of Zeebrugge every week for the next few months. Tesla has reportedly received 14,000 Model 3 orders in Europe until January. 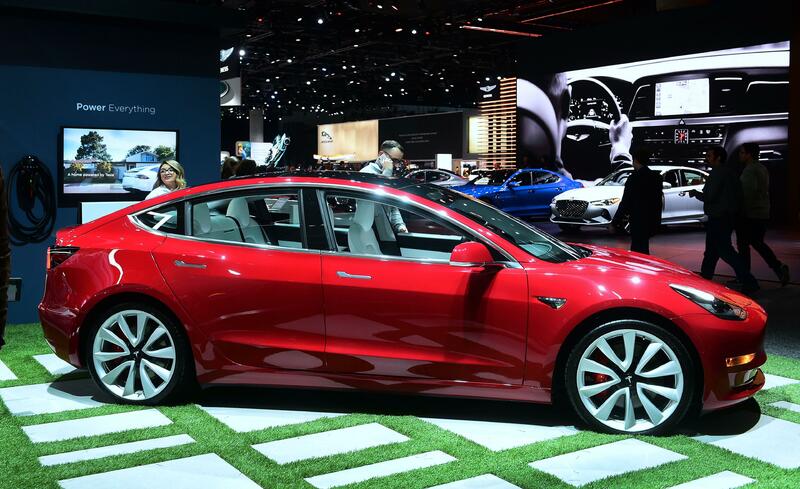 The number is set to grow as Tesla is throwing open Tesla Model 3 booking to the public in Europe and China. Noting that deliveries of high-end Model 3 versions in Europe and Asia are crucial to profitability, Elon Musk in a letter to Tesla employees set mid-May as the deadline for delivery of mid-level Model 3 cars to all markets. For the curious car buyers, a comparison of Tesla Model S and Tesla Model 3 and the Tesla website makes it clear that Model S is a flagship, premium sedan while Model 3 is a mass-market electric vehicle. Though it is not “Version 3” or most advanced, it will be the safest car in its class. Even as electric automakers are rolling out long-range models including Tesla Model 3, a new study reveals winter conditions can bring down mileage drastically. The perception has been endorsed by the study of American Automobile Association (AAA) that said for a fall of every 20 degrees Fahrenheit of temperature, the vehicle's range plummets an average 40 percent on the five models it tested. “We found that the impact of temperature on EVs is significantly more than we expected,” commented Greg Brannon, AAA's director of Automotive Engineering. Jaguar I-Pace, Chevrolet Bolt EV, and Nissan Leaf Plus were the other EVs studied in this category.